seven + = 14 Required Please enter the correct value. As the energy markets await the results of the UK vote on EU membership, as I covered last week, the news has picked up another "energy mantra" to repeat endlessly – and as usual, it's making a mess of it. For the past two weeks, analysts and pundits, many without any experience of oil fields or with advising actual oil companies, have been hailing the advent of an "oil balance." To be sure, as regular readers of Oil & Energy Investor well know, some of us have been focusing on that very same subject for much longer. But it's now become the topic du jour, with every "talking head" addressing it. The problem is that most of those now bandying about the term are still getting it wrong, despite being late to the party. You see, when discussing the "oil balance," either the pundits talk about supply and demand, or they emphasize OPEC versus everybody else. A rising number of commentators are now predicting an oil "balance" by the end of the year. Yet, when it does come, this balance will be only indirectly about how much oil is in the market versus how much is needed. Neither will it be directly about OPEC. 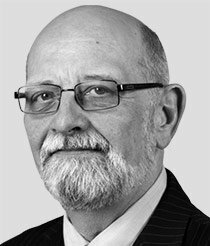 For the record, I agree that a balance is quickly taking shape, although I am still of the opinion that the crude oil price at the end of 2016 will be $58-$60 a barrel for WTI (West Texas Intermediate, the benchmark for futures contracts in New York) and $62-$65 for Brent (actually Dated Brent, the benchmark set daily in London). But the balance that must be struck is not some physical balance in barrels of oil, but a balance between "paper" barrels and "wet" barrels – that is, between the prices set in futures contracts (paper barrels) and those dictated by the actual liquid consignments of crude (wet barrels). This is the balance that has actually been driving the market for a number of years. Usually, the relationship between paper and wet barrels is manageable. The paper barrels are all about investment return with options run on them to manage risk. Holders of these paper barrels (the futures contracts), however, are not interested in acquiring the oil. They will depart prior to the contract's expiration, because they have no interest in actually getting barrels of crude oil delivered to their doorstep. Wet barrels, on the other hand, are all about actual imports and exports of oil. Here profits are made not on paper but via actual trade in the commodity. Now, as a futures contract (paper barrel) nears expiration, a stable market would push its price closer to the actual value of the underlying oil consignment (wet barrel). What difference remains at expiration would be ironed out by arbitrage on one side or the other. On any given day, there are far more paper barrels (futures contracts) than wet barrels (oil cargoes). The system should allow a wider number of players in determining the price (the point of introducing futures contracts to begin with) while providing a market mechanism for determining buy and sell points among actual oil providers and end users. The futures contracts, fueled by new generations of derivatives and synthetic instruments, produce what I called a few years ago "the Vega factor." As I explained in my book of the same name ("The Vega Factor: Oil Volatility and the Next Global Crisis"), the Vega factor results in the increasing inability to determine the genuine value of crude oil based on its market price. After all, the price of oil that's followed each trading day by broadcast news is actually the next month's expiring futures contract – the paper barrel price, not the price of oil (wet barrels) itself. When I first defined the oil Vega problem, we were experiencing price well above $100 a barrel. Recently, the same phenomenon in the other direction was in evidence when crude crashed below $30 a barrel. In both cases, to effect the arbitrage needed when paper contracts expired, greater reliance on additional derivatives was required (the paper barrel, after all, is itself a derivative). That resulted in pushing prices higher in the former case and lower in the latter, in both cases beyond what the wet barrels justified. Earlier this year, when abnormally low prices prevailed, my proprietary algorithms indicated a combination of the derivative pressure plus massive short plays had taken between $8 and $12 a barrel from the actual market value of oil. When oil was selling at over $100, a similar move in the other direction transpired. Currently, the move is just about flat, although if prices get close to $40 on one hand, or $70 on the other, we may well begin seeing these pressures returning. The essential balance required for a stable market price has less to do with supply/demand and OPEC/non-OPEC, and more to do with the congruence of paper and wet barrels in the actual trading of oil. 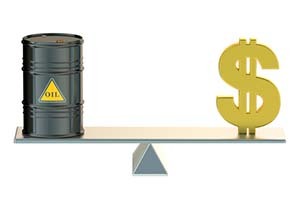 The balance that must be struck is one of trader's expectations, not a physical balance in barrels of oil. In a stable market, traders set the price at the expected cost of the next available barrel. In an accelerating market, that becomes the expected cost of the most expensive next available barrel. In a collapsing market, it translates into the expected cost of the least expensive next available barrel. Each of these last two accentuate the pricing movement, increase the arbitrage difficulty, oblige the introduction of additional derivatives in the trading exercise, and guarantee an external boost to volatility. Yes, both supply/demand and OPEC/non-OPEC remain as factors. We can also add the relatively new consideration of effective extractable reserves – after all, knowing there is considerable excess volume that can be rather quickly added to the market (especially in the United States) also becomes a restraining factor on how fast prices can rise. But the primary balancing requirement has less to do with market dynamics. It's a creature of the way the oil is traded. And until the balance between paper and wet barrels is struck and maintained, the problem of determining a fair market value for oil, and the ability to trade on that value, will elude us. That means you need to be prepared for oil price volatility, like the 2% or more dips and gains we've seen in the last few trading sessions, to continue for the time being.